The community in W2 helping others | and having fun doing it! Excited by her recent restoration, Betty, the Organ at St John’s Hyde Park will be doing a concert with the choral scholars of St John’s Church and organist Nick Miler to raise money for Reckless Giving. Tickets are £15 and include dinner (curry from Noor Jahan II) and quiz entry. There will be a bar on the night. Why not book a team of 6 to 8 people. Quiz master from the Victoria Pub. Tickets are available from the office at St John’s Hyde Park. 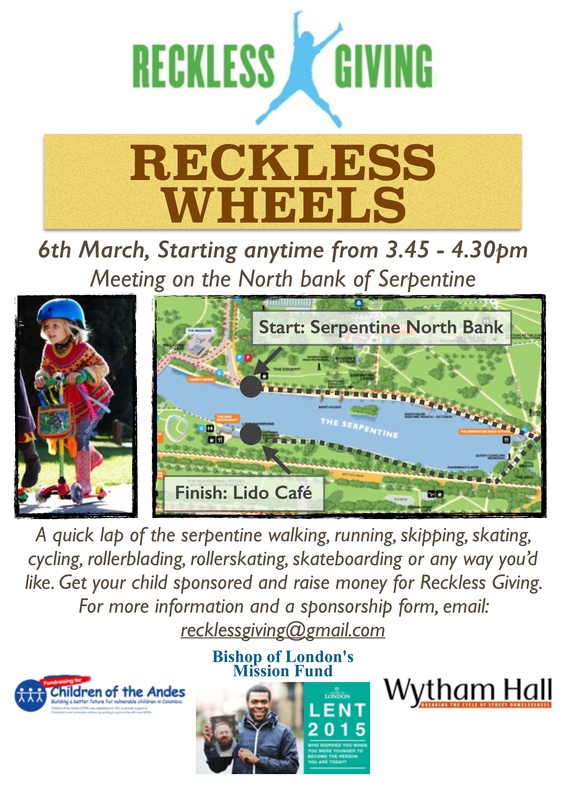 Last Friday 8 families came down to the Serpentine in Hyde Park after school and raced round from the boathouses to the Lido raising over £200 (collecting and counting is still in progress) for Reckless Giving. The video shows how much fun was had! Scootathon 2015 from Chris Skarratt on Vimeo. 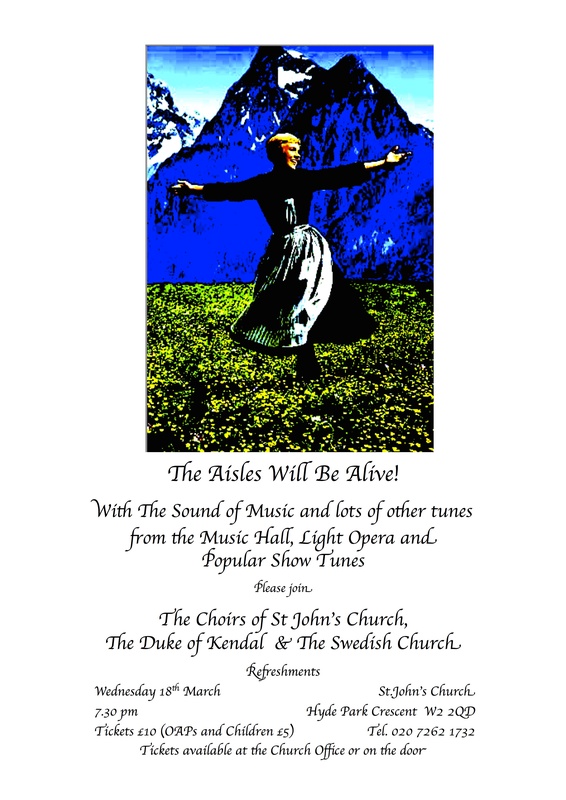 Duke of Kendall Singers, St John’s Choir and the Swedish Church. Come along for a brilliant evening! Contact recklessgiving@gmail.com to get a sponsorship form. On Tuesday (17th February) the playgroup which meets at St John’s Hyde Park will be having a Pancake Party for Shrove Tuesday. There will be Pancake themed songs (The pancakes on the bus go…) and pancakes to decorate and eat… Afterwards those who wish to will go to Connaught street to participate in the Pancake Race at mid-day. All donations for the day will go to the Reckless Giving 2015 campaign. After a great success last year the barn conversion is back – come along to the Barn Dance.